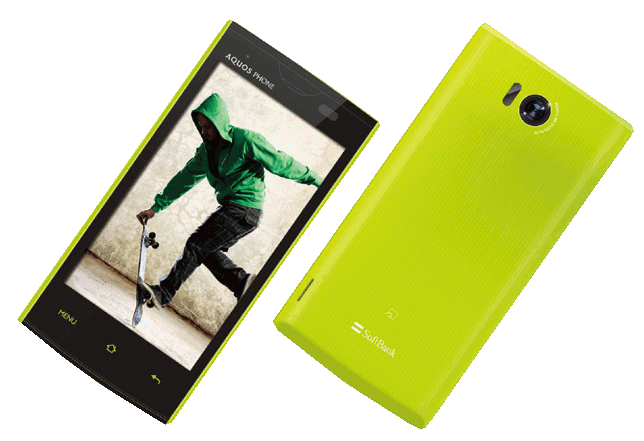 The Aquos Phone 102SH2 is a "remix" version of the 102SH launched by SoftBank last season. This new version comes with an additional frequency band, the so called Platinum Band at 900 MHz which is supposed to deliver improved connectivity in closed spaces. The SoftBank 104SH is the flagship of the Winter 2011/Spring 2012 collection but it's not expected to drop anchor in Japanese ports earlier than the Spring of 2012. This Aquos Phone 104SH comes with a 4.5-inch screen with the new industry standard resolution of 1280 x 720 pixels but is not 3D capable, unlike the 102SH. The SoftBank 103SH is your "standard" Japanese smartphone: it comes with a 4-inch display and a QHD resolution (940 x 560 pixels) and not 3D capable. This device is running Android 2.3 on a 1.4 Ghz Qualcomm Snapdragon processor and will probably have 512 MB of RAM. The 103SH is waterproof and dustproof and has an 8 megapixel CMOS camera. Now here's an industry first: 4.5 inches of screen and an unheard of before resolution of 1280 x 720 pixels! And that's 3D capable as well! The SoftBank 102SH is going to be the gem of the Winter 2011 SoftBank collection - before it's outshined by the 104SH which will roll out in Spring 2012. This is the first of the SoftBank Winter 2011/Spring 2012 collection. 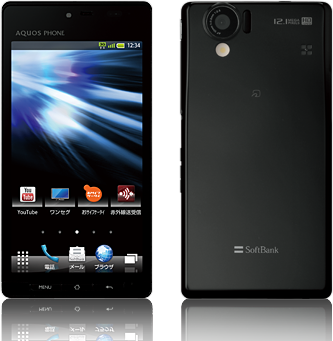 SoftBank have announced the release of Aquos Phone 009SH - The Premium, another slab phone running Android 2.3. This "premium" new gadget comes with a 4.0-inch screen and a QHD resolution of 960 x 540 pixels. 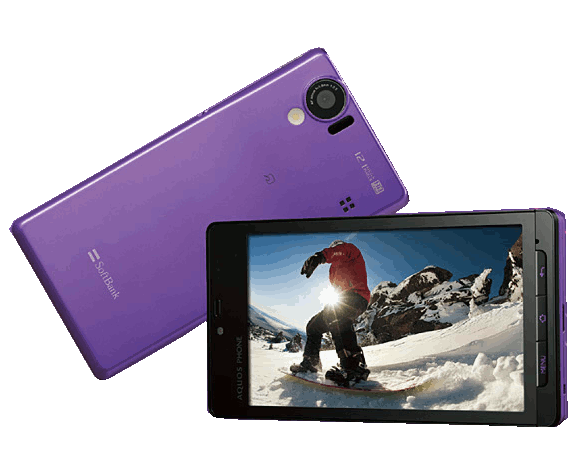 This is a 3D capable screen and the 8MP CMOS camera sensor can take 3D photos using the "swipe" movement. Aquos Phone – The Hybrid is what the 007SH is also called. 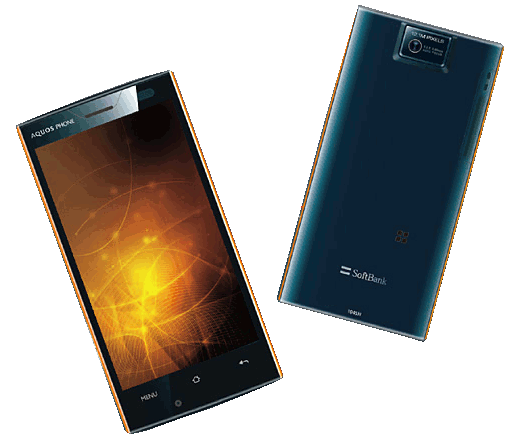 The SoftBank summer 2011 flagship keitai is a long-awaited Japanese cycloid running Android 2.3, the only other member of this class being the Chinese SH7218. SoftBank are also beginning to release their Summer 2011 collection and the first announcement here is the 006SH, which is very much the same as DoCoMo's SH-12C and KDDI's IS12SH. The Galapagos 005SH is the QWERTY keyboard version of the the 003SH model of the world's first glasses-free 3D capable handset series. 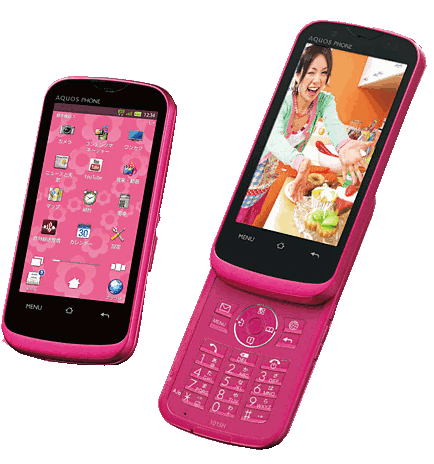 The 005SH started selling on Softbank Japan in late February 2011. The world's first glasses-free 3D capable handset, the Galapagos 003SH started selling on Softbank Japan in December 2010.